(CNN) – Speaking to a right wing radio host Tuesday, likely GOP presidential nominee Mitt Romney repurposed a phrase from Hillary Clinton, citing a "vast left wing conspiracy" brewing in the media and liberal advocacy organizations to derail his campaign. Romney was making an appearance on Breitbart TV and was asked by host Larry O'Connor whether he was ready to take on "the media and these nonprofits groups that are working together." "There will be an effort by the quote vast left wing conspiracy to work together to put out their message and to attack me," Romney said in response. "They're going to do everything they can to divert from the message people care about, which is a growing economy that creates more jobs and rising incomes. That's what people care about." Romney's choice of words echoes Clinton's assertion in 1998 that a "vast right wing conspiracy" was behind the sexual harassment charges her husband, former President Bill Clinton, was facing at the time. "I mean, look at the very people who are involved in this – they have popped up in other settings," Clinton, now the U.S. secretary of state, said on NBC's "Today" in 1998. "This is – the great story here for anybody willing to find it and write about it and explain it is this vast right-wing conspiracy that has been conspiring against my husband since the day he announced for president." 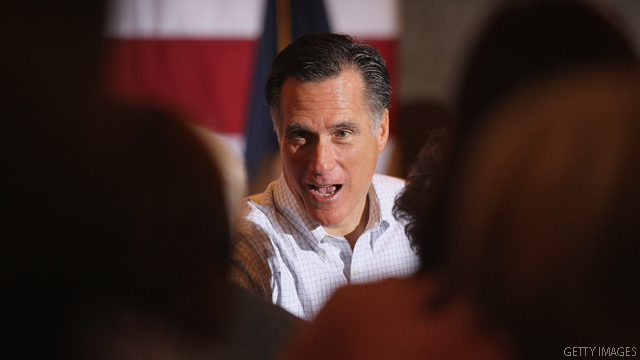 Romney said dealing with journalists, many of whom he said were biased, was a perpetual problem for Republicans. "Many in the media are inclined to do the president's bidding and I know that's an uphill battle we fight with the media generally," Romney said, before praising O'Connor for offering a conservative voice. The candidate said he was unfazed by the prospect of doing battle with the left's vast operation. "Democrats know that given the president's record over the last three years they cannot run on that record," Romney said. "They will make this race about anything but the president's record and the economy." What reporter for CNN, NBC, ABC or CBS has ever voted for a Republican? I rest my case. Judging by these comments this will be a sad lot come January when the Community Organizer moves back to Chicago. I love it. Romney speaks the truth and leftist go crazy defending their party's media monopoly. It's getting tougher each day to keep the cover on it. 88% of media donations during 2008 campaign went to Obama. Cue the Video... NBC's Brian Williams bowing down to Obama at the end of their interview. This site and the predominant smoke bloweres hereon stink of America's worst enemies; democrats/citizen betrayers of the Republic. Finally grown to critical mass, they are self destructing as we watch. maybe not a right ring conspiracy but anybody with a fair mind will have to admit there is a liberal bias in the news media. "intelligence has a liberal bias"...? The incredible arrogance and narcissism of the left never ceases to amaze! Judging from the tone of the comments on this site the proof of a hard left-bent of this of this media outlet (CNN) is staaring us all in the face. But I read it on occassion so tht I may better ubderstand the the opposition whose intent always seems to be to remake the most succeessful nation in history into another European style socialist, bankrupt utopia. Sun Tzu was correct absolutely correct in his admonishment about understanding the opposition as well as the self. Mitt just look at your GOP party members in congress and judge who conspirators are. A bunch of vicious bigots whose main goal is their FKG ideology than well being of this nation. Republican party has turned to be bigger enemy of this country than any external one. Mitts right, the media is a disgrace. Almost as big of a disgrace as our worthless president. Keep up the criticism Republicans and Conservatives and we will have four more years of President Obama.